Dahua Cctv 1Mp Dh-Xvr4116Hs 16Ch Dvr 1Pcs. This Type Of Dvr Supportes All Types Of Cameras. (Analog,Hdcvi,Hdtvi,Ip). Dahua Cctv 1Mp Dh-Xvr4116Hs 16Ch Dvr 1Pcs. This Type Of Dvr Supportes All Types Of Cameras. (Analog,Hdcvi,Hdtvi,Ip). Additional Features DVR Supportes All Types Of Cameras. 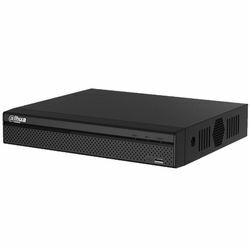 (ANALOG,HDCVI,HDTVI), 6TB HDD Supported, Free DDNS In-Bilt, Mobile View (Android, Windows, iPhone),, Can Be Watched Online Using DDNS, High Quality Branded Product With 2 Year Warranty.